At Smart SEO, our link building services are second to none. When you’re ready to use all facets of Search Engine Optimisation to improve your business position – we’re here to help. Our approach to SEO link building offers your business the benefits of ethical and secure links that will instantly drive traffic to your site. With a team of experts that will address the unique needs of your business by creating a completely personalised Search Engine Optimisation strategy, your business will reap long-term rewards. Because link building is such a crucial element of an online presence, Smart SEO approaches each project with intensity, care, and attention to detail. Whether you’re in need of assistance with a large or small project-we’re here to help. With Smart SEO hard at work for your business, you can count on results. Our SEO link building services offer you the ability to approach search engine rankings in a whole new way. 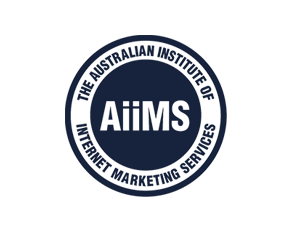 Smart SEO’s affordability, professionalism, and expertise are unmatched in Australia—making us the Link Building leaders. With high quality links that adhere to Google standards and guidelines, your business will have permanent online prowess that will help you edge out the competition. Why trust your future to anyone other than the SEO experts? Unlike many other Search Engine Optimisation firms, we offer a highly personalised experience that ensures your business achieves the results you desire. Whether we’re building your website, writing content, or putting our link building services to work for you, our goal is for you to be a part of the process so that you feel good about all facets of your Search Engine Optimisation process. Let us put your business in the right position to gain long-term success. Contact us today to find out more about our SEO link building services. Smart SEO combined with SEO Link Building provide an ultimate link building service. Driving high quality links, targeted and authentic links, your rankings and traffic will be increased within a few weeks! Contact us today!